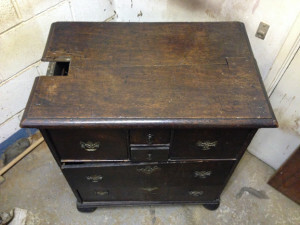 An early Georgian bun foot oak chest. 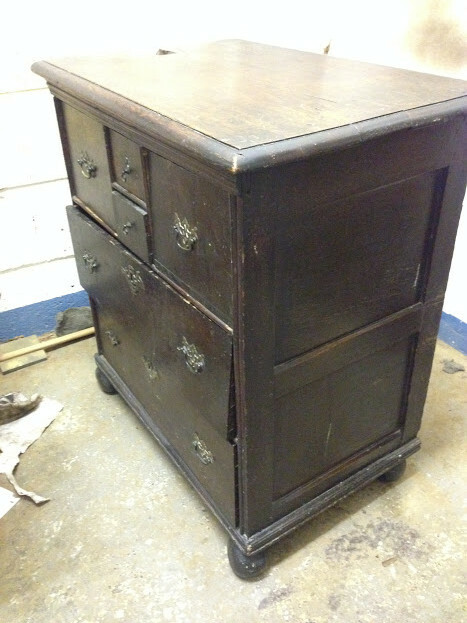 This required remedial work on the drawers and runners, the top had been split and two sections let in to it from a previous restorer. 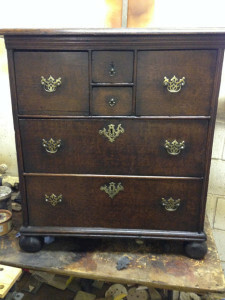 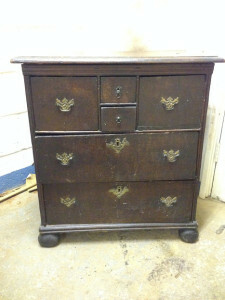 The chest was carefully cleaned not to loose the character and brass polished. 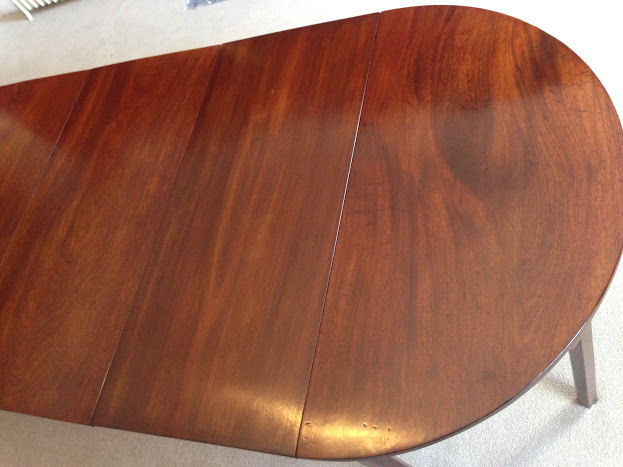 The top was rebuilt using the original pieces. 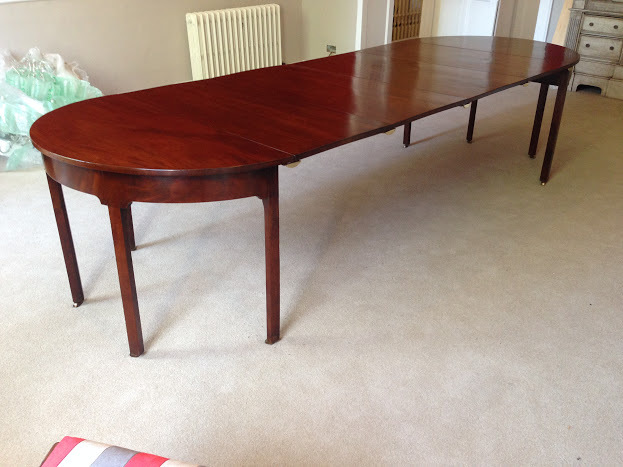 Missing piece of oak and the top had split apart. 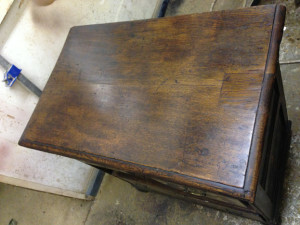 After repairing the split top.